Long term auto loans – those 72 months or longer – are becoming increasingly popular, since they, according to a recent USA Today report, “seem more affordable”. In early March, a whopping 33.1% of all loans were long term. NBC News hinted that this statistic is actually a trend that can inflate to become a bubble that “sounds suspiciously familiar,” referencing the auto market before the 2008 economic recession. Using a recent report from Standard & Poor, NBC News said that since the average new car is unaffordable for the average American family in 24 of the 25 largest U.S. metro areas, the number of loans packaged into securities with borrowers more than a month behind on their payments rose to its highest in three years. A better low-risk option than a long-term auto loan – and that’s actually statistically cheaper in the long run – is to lease a vehicle instead. It’s evident that the market realizes it’s true, as leasing is currently setting new record highs in numbers. And an even cheaper option than leasing a vehicle off a lot is to take over a lease on Swapalease.com. Since the vehicle is currently under contract, often you don’t have to pay a down payment or other taxes and fees. All you pay is a simple and low monthly payment. Each of these carry little financial risk, compared to a long-term auto lease. In a lease environment you don’t have to worry about the long-term depreciation on the vehicle – something that hurts owners that eventually wish to sell or trade their vehicle. Plus, they will free you up from a long-term commitment. If you want a breath of fresh air or the newest technology, you can do so much quicker with a lease versus an auto loan. According to a recent Swapalease.com survey, safety ranks as one of the highest factors in wanting to get a new car. Because only with a lease can you consistently upgrade to the newest and safest technology in the most affordable way possible. If you purchase a vehicle, you’ll be in a long term agreement with a car that will, with time, no longer be the safest vehicle on the market. What’s worse, if you lock yourself in a car for longer than five years you run the risk of encountering even more safety issues as cars undergo wear and tear over time. Not only can you get the safest cars on the market by simply paying a low monthly payment; by the time newer safety features arrive on the market, you’ll be available to upgrade into newer technology. People enjoy leasing an electric vehicle for this reason, and a growing number of drivers interested in an always-on warranty are taking advantage of leasing as well. For more information on finding the best car lease deal on safe cars or to learn how you can have a successful car lease trade, contact Swapalease.com at 866-SWAPNOW. Leasing a new car costs more than purchasing it. 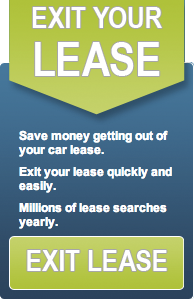 With a leased car, you pay a down payment, along with low monthly payments until your lease is up. For example, a 2013 Honda Accord EX, costs $24,500. You can get it from the dealer at $334 per month. For the standard 36 month lease, that’s a total of $12,024. Even after insurance, a down payment and the monthly fees, it’s much cheaper than purchasing. Dealerships tack on additional expenses at the end of a lease. If you abide by your contract, no extra fees are added on for excess mileage or wear/tear. Only businesses get a tax break with a leased car. According to Kiplinger, Tax laws do allow businesses to “deduct monthly leasing payments as an expense. But individuals get a tax break, too.” In most states, you pay sales tax only on the monthly payments, not the vehicle price. For example, in a Nissan Altima, you’d owe taxes on about $8,264 in payments rather than the $21,403 vehicle price. Once you sign a lease contract, you can’t get out of it. This is why online lease marketplaces like Swapalease.com exist. Swapalease.com allows you to take over someone else’s lease. Or if you want to get rid of your lease, you can give the responsibilities – and the contract – to someone else on the online marketplace.